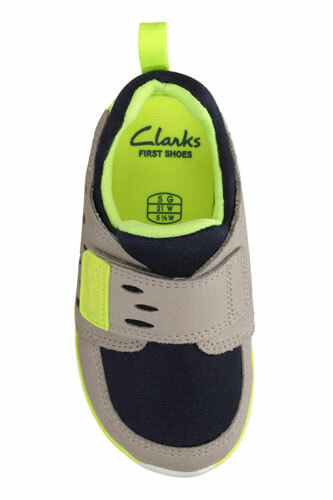 Clarks Ath Leap – little feet look and feel fresh in the Clarks Ath Leap first trainers! 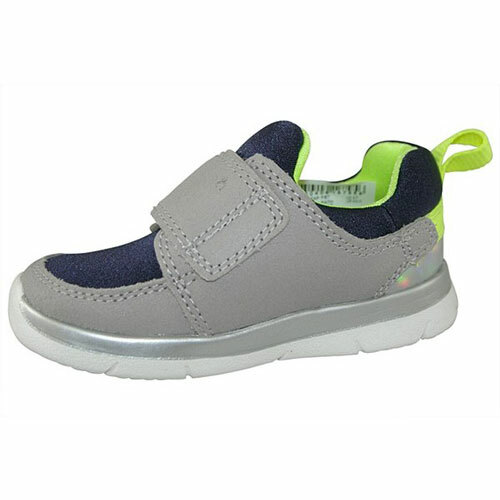 Lined with Agion antimicrobial, these kids trainers battle bacteria to keep active feet comfortable. 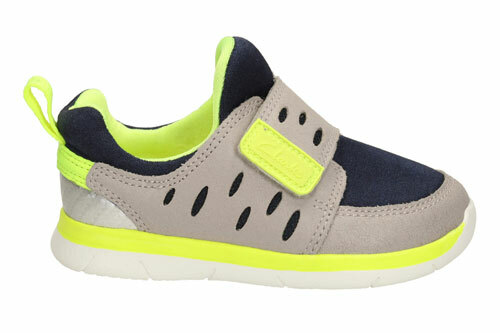 Their contrasting grey and navy leather uppers feature bold lime colour pops for a fun take on the athleisure trend. 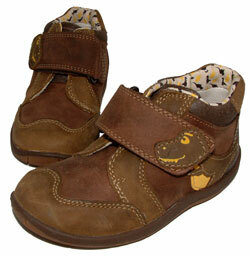 Ultra-lightweight, the EVA soles provide cushioned comfort and absorb impact. 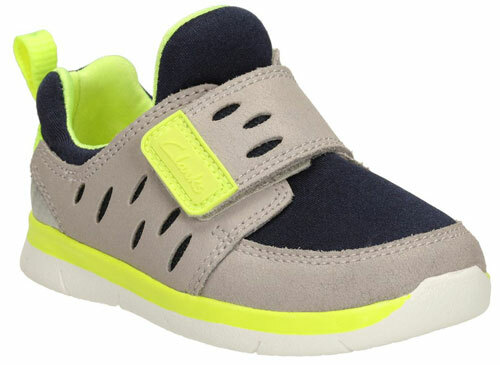 With a thick riptape strap fastening, the Clarks Ath Leap first trainers flex with the foot for a supportive, comfortable wear.